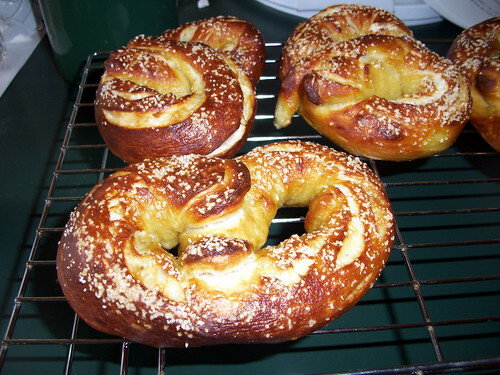 Igor and I just finished making soft pretzels from a recipe that we adapted from Alton Brown. I only wish I could figure out how to make Vista work with my real camera, as this pocket camera doesn’t take great shots. But, the pretzels were fantastic, and the recipe was easy enough that Igor (who is 6) was able to do all but the “hot work”.